The present global environmental concerns have fueled the need for safe, reliable, affordable, renewable energy solutions. In just a few short decades wind energy has matured dramatically, making wind one of the fastest growing sources of electricity in the world today. Due to technological advancements, policy initiatives, and economic drivers, wind energy is now able to make a cost-competitive contribution to our growing energy needs. The utility-scale wind power global market is estimated at about $400 billion. It is reported that commercial buildings consume about 75% of the electrical power. This power consumption translates into about a $900 billion global market, says SheetWind. 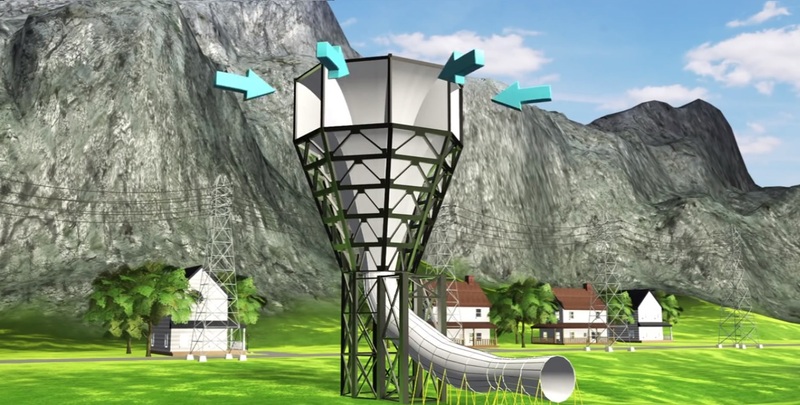 SheerWind is the developer & licensor of INVELOX wind funnel technology, an innovative wind power generation system that significantly outperforms traditional wind turbines. It is poised to turn wind power into a major power generation player. SheerWind is located in Chaska, Minnesota and was founded in 2010 by Dr. Daryoush Allaei, a scientist and entrepreneur who holds more than 26 U.S. and 15 international patents. 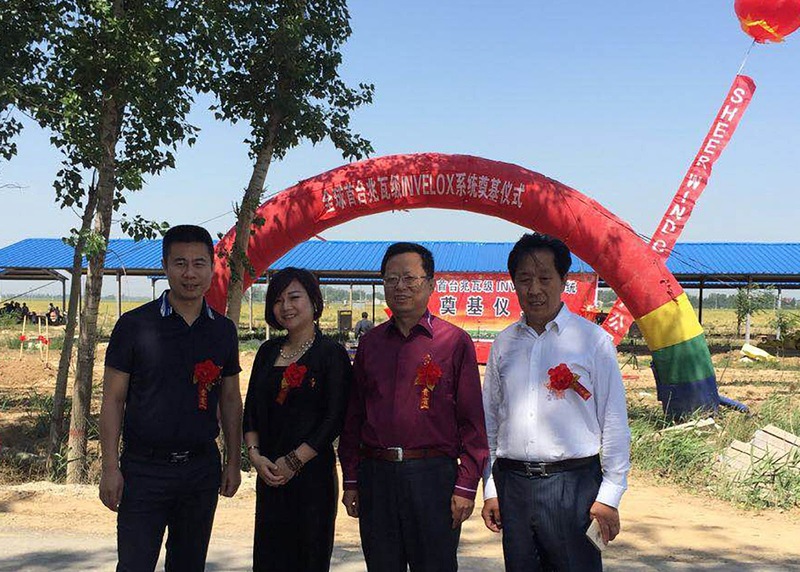 Recently, SheerWind’s authorized distribution HUB SheerWindChina broke ground last week for the largest INVELOX system to date. The Chaska-based wind-power innovator, SheerWind, was pleased to get the news and is looking forward to working closely with its China HUB during the construction, scheduled for completion in October 2016. The event took place in collaboration with Hengshui City Agricultural Science and Technology Company. SheerWindChina will use this system as a demonstration aimed at establishing, optimizing and verify the technical parameters of the wind power generation system. Construction of the world's first 100MW wind farm power industrial park is scheduled to follow in the next year. "Breaking ground on China's first INVELOX is a perfect demonstration of their commitment to renewable, clean energy. SheerWindChina's dedicated team has made strides in development and implementation of INVELOX. We look forward to this prosperous relationship that benefits both our countries while supporting current environmental initiatives," said Daryoush Allaei, CEO of SheerWind, as per recent press release of SheerWind. This Innovative technology captures, concentrates, and accelerates wind energy, delivering power at reduced costs. It also solves the major problems that have so far undermined the wind industry, such as low turbine reliability, intermittency issues, and adverse environmental impact. 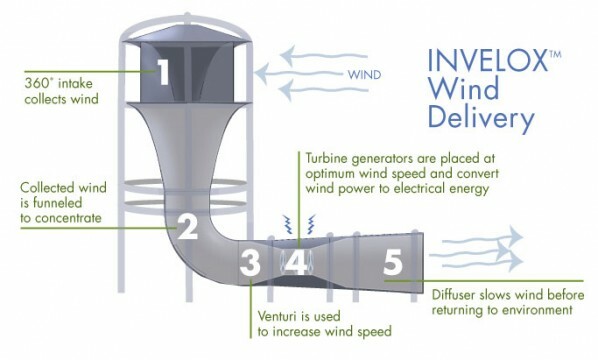 Enclosed turbine benefits of INVELOX include no harm to birds or humans, far less maintenance, and greater electrical production per dollar invested than conventional systems. INVELOX is scalable, equally suitable for use in major wind farms or micro-generation settings. It will produce power effectively at much lower wind speeds than current systems do, which means it has a dramatically wider geographical range. Moving parts (turbines or generator) are enclosed at or below ground level; reducing excess noise generated by the traditional turbine-generator systems. Tower noise is not anticipated to be a problem. With the INVELOX system rotating blades are inside an enclosure at the ground level, the low frequency blade noise/vibration is eliminated by over 60% reduction in blade size. To generate 100 megawatts of electricity, INVELOX reduces costs of generated electrical power by 16% to 38% with 3x increased performance on 50% shorter towers placed on 90% less acreage, operated/maintained at 40% to 45% lower costs, and using turbine blades 84% shorter than traditional wind farms, says SheerWind. Regarding wind speed, the traditional windmills are not effective in slow wind speed areas (class 1 or 2) and it works best in class 3, 4, 5, or 6. INVELOX is a wind delivery system that captures, concentrates and accelerates wind. Because SheerWind’s INVELOX speeds up wind, it can work in all classes of winds and be effective.